Star Union Dai Ichi Life Insurance was formed following a joint venture between Japan’s second largest life insurance company Dai Ichi Life and Indian public sector banks Union Bank and Bank of India. Star Union Dai Ichi Life Insurance offers its customer base with a plethora of individual life insurance products and group life insurance products. Customers who have already availed a life insurance product (individual or group) from Star Union Dai Ichi Life Insurance and for new customers, they can contact the customer care unit of Star Union Dai Ichi Life Insurance for queries, grievance redressals or for an expert option on product selection. 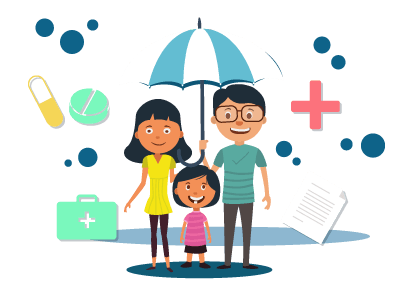 Policyholders and new customers seeking product information can contact the customer care unit of Star Union Dai Ichi Life Insurance by calling the toll-free number - 1800 266 8833. Customers can get in touch with the customer care unit between 8:00 a.m and 8:00 p.m between Mondays and Saturdays. For any query, feedback or complaint regarding an insurance product of Star Union Dai Ichi Life Insurance customers can write to customercare@sudlife.in. If the customer is dissatisfied with the customer care support service, he/she can write to grievanceredressal@sudlife.in. To further escalate a complaint for poor customer care service, customers can write to cgro@sudlife.in. Customers that wish to know more about the life insurance products offered by Star Union Dai Ichi Life Insurance can SMS ‘SUD’ to 56677888. Apart from the above-listed customer care contact details, new customers as well as existing policyholders can also get in touch with the below-listed branches of Star Union Dai Ichi Life Insurance for product information, grievance redressal, etc. Amritsar Star Union Dai-ichi Life Insurance Co. Ltd. Signature Tower, 3rd Floor, SCO 93, District Shopping Centre, Near Passport Office, Ranjit Avenue, B Block, Amritsar – 143001 Tel No: 0183 – 5004708/09/10/11/12. Durgapur Star Union Dai-ichi Life Insurance Co. Ltd. Raj Lakshmi Jewellers Building, 2nd Flr City Centre, Layout Plot No 104, CS Plot no 821, Khaitan no 238, Beside Junction Mall Durgapur – 713216. Guwahati Star Union Dai-ichi Life Insurance Co. Ltd. J.K. Heritage Building, 2nd Floor, Near Hotel Gateway Grandeur, G.S. Road, Guwahati (Assam) -781005. Panjim Star Union Dai-ichi Life Insurance Co. Ltd., 405, 406, 4th Floor, Shiv Tower, Patto Plaza, Panaji, Goa - 403001.